Petar Dundov deals in a level of emotion usually reserved for peaktime trance tunes. Yet he remains a darling of the techno community, admired for his extravagant productions as much as his DJ sets. The reason is his combination of unpretentiousness and honesty. Dundov‘s secret is simplicity. The hooks are right out in front, and even if his songs sound huge, they’re never too dense. 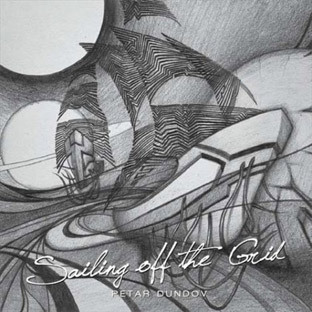 As with Dundov‘s other albums, Sailing Off The Grid has a simple narrative, working up to a climax and letting us back down again. Three albums into his career, Dundov‘s sound is now more familiar than surprising, but in its own way that makes its beauty all the more moving.